“SAMS mourns the loss of our colleagues and exemplary physicians who dedicated their lives to helping others. The international community must have a zero tolerance of these violations of international humanitarian law,” – SAMS President, Dr. Ahmad Tarakji. Since the beginning of the conflict, Physicians for Human Rights (PHR) has documented 478 attacks on 325 facilities in Syria, killing 826 medical personnel. Since 2015, SAMS has lost 42 medical workers. In 2014 and 2015, as systematic and targeted attacks on healthcare increased, SAMS supported the families of our medical workers who have paid the highest price for their courage and selfless efforts. In 2016, after the loss of yet another of our heroic medical workers, Dr. Hasan Al-A’raj, Health Director of Hama, SAMS officially launched the “Fallen Heroes Fund” to support the families who have lost a parent, a spouse and a provider, in addition to medical workers who can no longer perform their duties due to a physical disability. With our Fallen Heroes Fund, SAMS strives to bring some comfort and hope in the face of such profound loss by supporting the families who are left behind. SAMS has committed to supporting the families of our fallen medical staff for five years. On Saturday, March 25th, 2017, Dr. Ali Darwish, a specialist orthopedic surgeon at a SAMS-supported underground hospital in the Hama countryside, was killed in a chemical attack that hit his hospital. Dr. Darwish was one of the few medics at the f acility. He was treating a patient in the hospital’s operating room when the chemical attack took place. He refused to leave his patient’s side until he lost consciousness in the operating room and was evacuated to another hospital. By the time Dr. Darwish was admitted to a nearby hospital, it was too late: he died in the emergency from exposure to the chemical agent. Dr. Darwish is survived by his wife and three children. In 2016, SAMS lost even more colleagues and heroes. In May 2016, SAMS mourned the tragic death of Dr. Hasan Al-A’raj, Health Director of Hama, who also worked in a SAMS- supported cave hospital built into the side of a mountain. Dr. Al-A’raj was killed by a targeted airstrike, about 100 meters from the hospital. He was the only remaining cardiologist in Hama. He is survived by his wife and five children, ages 1 to 17 years old. To learn more about Dr. Al-A’raj legacy, click here. In April 2016, SAMS also lost another invaluable doctor, Dr. Mohammed Alkos who was killed by a sniper in the besieged town of Zabadani, a neighboring town to Madaya. Dr. Alkos worked in a SAMS-supported field hospital. 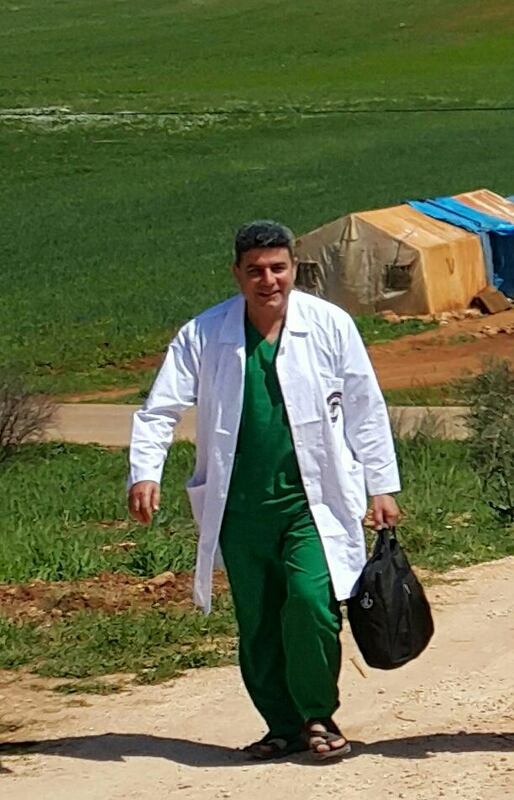 He was the only remaining physician in Zabadani. Dr. Alkos is survived by his wife, two sons, and daughter. While many doctors in Syria have fled violence and targeted attacks on hospitals and health workers, Dr. Darwish, Dr. Al-Araj, and Dr. Alkos, and many others, have chosen to stay in Syria at great cost to themselves and their families. Safety and security issues have forced many families apart, unable to visit or see each other for days at a time. Despite this unimaginable toll, many of our medical personnel remain in Syria to save lives and bring hope to the Syrian people. SAMS healthcare workers are the greatest and true heroes. Since the beginning of the conflict, they have braved the bombardment to care for the sick, save lives, and rebuild their war-torn country. 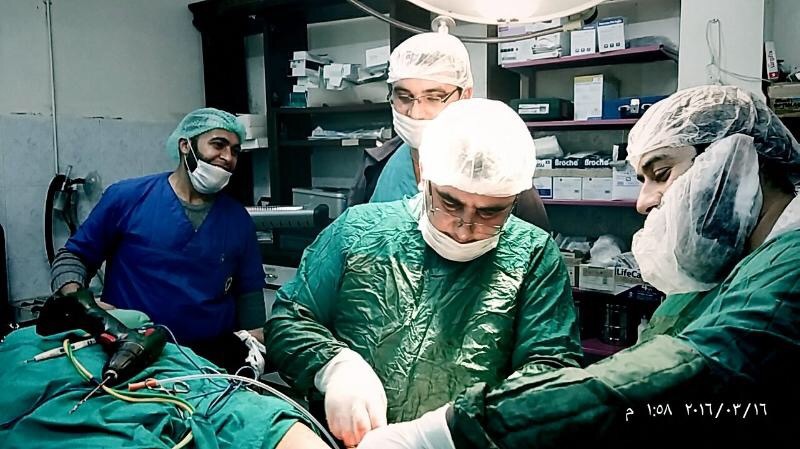 Their dedication to their work showcases the resilience and courage of medical professionals in Syria. Unfortunately, some have paid the highest price for their courage and selfless efforts. We urge you to rush your generous donation for those families who have sacrificed so much. It is our duty and responsibility to make sure those brave medics we have lost are honored and that families left behind receive the support they need. Support the Families of Our Fallen Heroes.